Back in the mid-90s, my nephew used to read R.L. 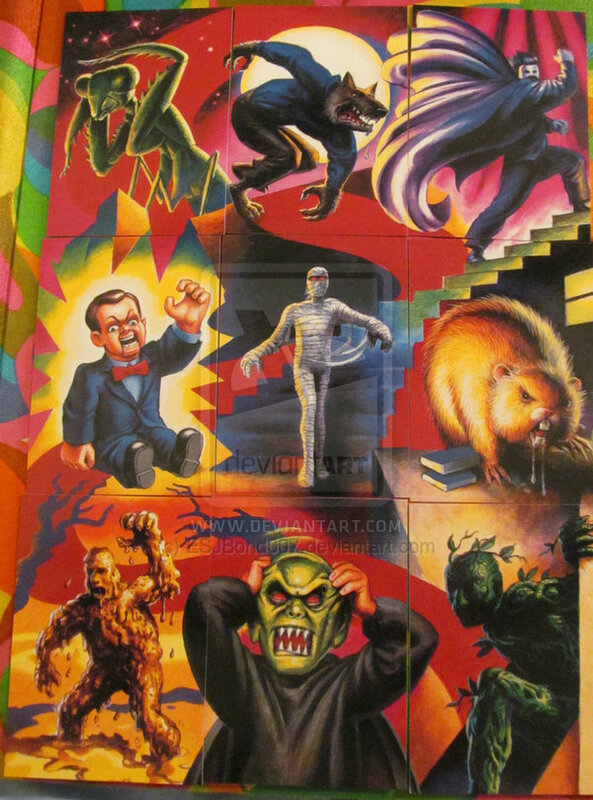 Stine’s Goosebumps books. I admit that I never picked one up back then and only recently read a few entries in the long list of books by this author. There are over 200 of them! R.L. Stine (1943-present) is a seriously prolific writer! Often called the Stephen King of children’s books, this American writer’s work was made into a movie just in time for Halloween this year. He has also written joke books under the name Jovial Bob Stein and created the humor magazine Bananas. He worked as the head writer for Nickelodeon’s Eureeka’s Castle in the late 80s through mid 90s. Mr. Stine wrote other series before his Goosebumps series – Fear Street books and Space Cadets to name a few. He has created TV shows, video games and even written a handful of books for adults. But in 1992, he started the Goosebumps series and that is the focus of my affection. The Goosebumps books have sold over 300 million copies, and at one point were selling at the rate of 4 million books a month! I think the thing that intrigues me so much about these books is they are scary. As a writer that focuses most of her writing energy toward middle grade readers, I am not at all sure I could write horror for this age group and do it well. But Mr. Stine can! 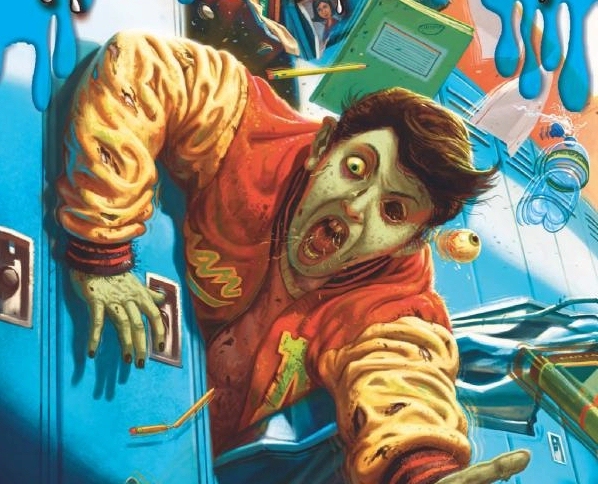 The earliest Goosebumps book, Welcome to the Dead House (1992) reminded me of the movie The Lost Boys, only with zombies. And that is not a bad thing! Two kids move to a town inhabited by zombies who are planning to turn them. In Stay Out of the Basement (1992), two kids discover plans for a half-human, half-plant hybrid in the basement. Night of the Living Dummy (1993) focuses on something that has always creeped me out – ventriloquist dummies – and how things start to turn evil when two kids discover one in the trash. There have been reprints, graphic editions, spin offs, choose your own ending books, short story collections, and all of them are worth checking out if you like to feel that tingle down your spine. R.L. Stine has been the recipient of many awards. He received the Champion of Reading Award from the Free Library of Philadelphia (2002), the Disney Adventures Kids’ Choice Award three times, and the Nickelodeon Kid’s Choice Award (also three times). He won the Thriller writers of America Silver Bullet Award (2007) and the Horror Writers Association’s Lifetime Achievement Award (2014). The Guinness Book of World Records named him the best-selling children’s book series author of all time. 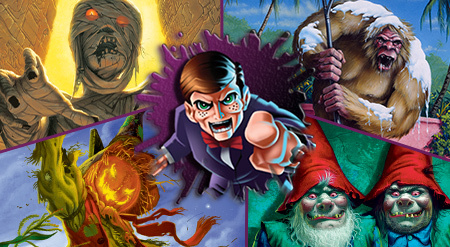 If you are new to the Goosebumps series, you can start by trying a collection like the Goosebumps Retro Scream collection, which includes five of the all time best selling stories from the original series reprinted with original covers.